10:00 AM - 9:00 PM 10:00 AM - 9:00 PM 10:00 AM - 9:00 PM 10:00 AM - 9:00 PM 10:00 AM - 9:00 PM 10:00 AM - 6:00 PM 12:00 PM - 5:00 PMShop Now! 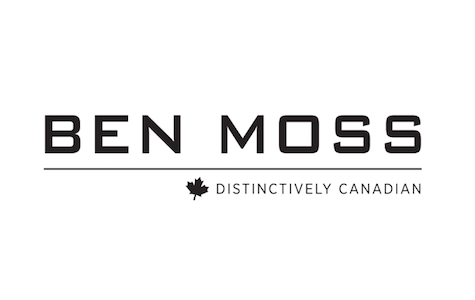 Ben Moss Jewellers was established in 1910 as one of Canada’s first independent and family-owned fine jewellery store companies. It unfortunately suffered from external forces that left it financially vulnerable in recent years and a wholesaler acquired the chain in 2013. The company filed for creditor protection in May 2016, and closed all stores. In January 2017, Charm Diamond Centres acquired the rights to the trademark Ben Moss and is re-opening 16 Ben Moss Jewellers stores in Ontario, Manitoba, Saskatchewan, Alberta and B.C. Founded in 1972 by Richard Calder, Charm Diamond Centres, with Crescent Gold and Diamonds, is Canada’s largest independently owned and operated jewellery company. Under these three retail banners, Charm operates more than 88 stores and employs more than 800 people from Newfoundland to B.C. Charm’s mission is to ‘Win the Customer for Life’ by providing quality, value, and trusted service to all its customers. Charm Diamond Centres is a Canada Top 50 Best Managed Company. Charm Diamond Centres has great respect for the Ben Moss Jewellers legacy and its long history. Like Charm, the company has a similar story – it is a family-owned Canadian fine jewellery brand that customers have trusted for their most treasured memories. ©2018 Ben Moss. All rights reserved.